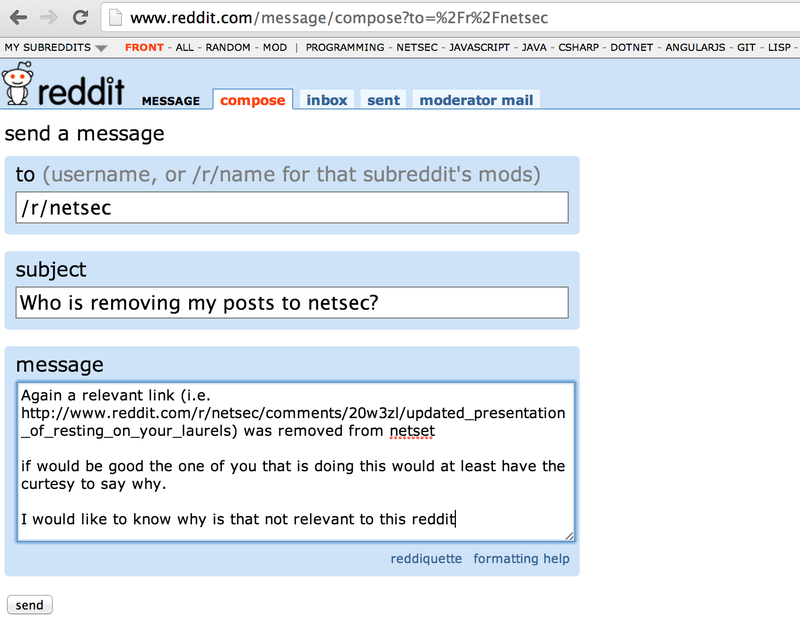 Again I had a link (this one) removed from http://www.reddit.com/r/netsec which is very weird. In most (sub)reddits what happens is that the links I (and others) post are given a couple hours to get up-votes and comments. If they don't they get relegated to the archives (i.e. not on the first couple pages) and forever forgotten (which is how it should be). 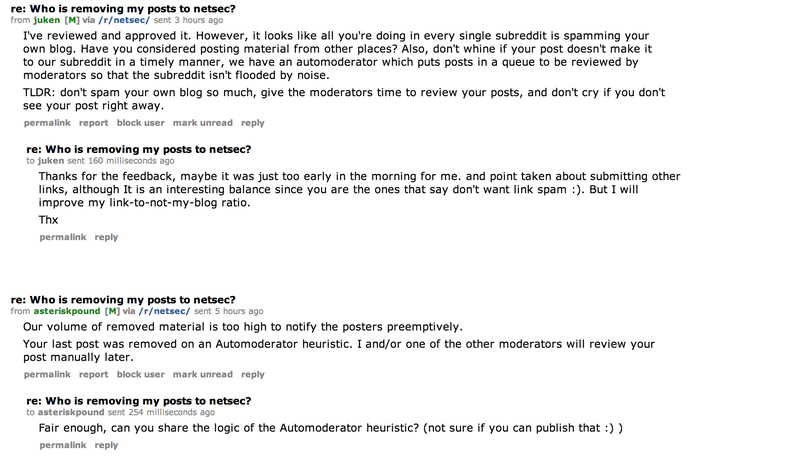 But /r/netsec is the only one that I actually see the posts 'disappear' from both Hot and New pages, which means that there is somebody out there that probably doesn't like me and is actively blocking those posts. This is a shame since it should be the community that decides what is interesting and valuable, and in this case the XStream/XmlDecoder/REST issues deserve to be known and fixed.